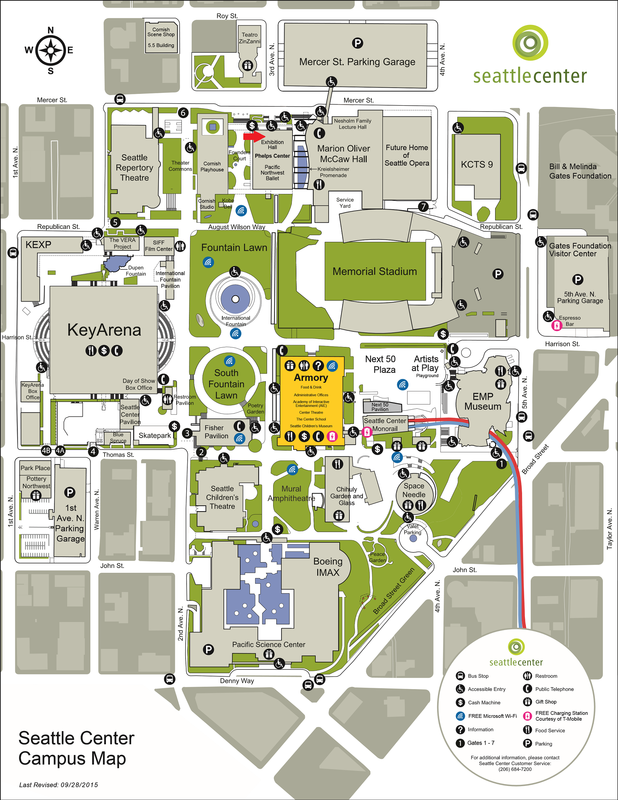 Here is the map for the Seattle Center. The Exhibition Hall is located at Mercer St & 3rd Ave N, Seattle, WA 98109, USA, and is indicated with a red arrow on the map. The nearest parking is available in the Mercer St garage, and there is disabled access from there all the way across the street and down a ramp to the Exhibition Hall entrance. A variety of alternative transportation options are available.